NEW YORK–After ten years successful years in Paris, the ADF-PCD show comes to New York for the first time this week. Show hours are Tuesday, September 13 (9 am-6 pm) and Wednesday September 14 (9 am-5 pm) at The Altman Building and Metropolitan Pavilion on 18th Street in Manhattan. As in Paris, ADF and PCD are together in one hall and color-coded for your convenience. 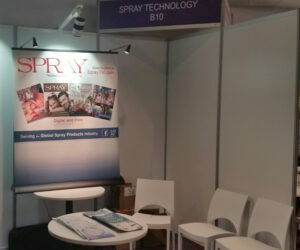 Stop by booth B-10–right up front–and get your September print issue of SPRAY Technology along with our 2016 Supplier Showcase.